The most comprehensive handbook of its kind, AIDH provides up-to-date information on injectable medicines that will be useful in your daily practice. 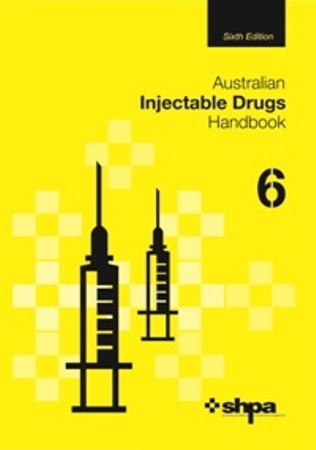 The 6th edition contains more than 440 injectable medicines, all entries fully revised, including 24 new monographs. Each monograph includes availability, generic/trade names, preparation, administration, stability, compatibility/incompatibility data, special notes. It also contains paediatric-specific information in many monographs. The AIDH has a tough durable cover and enhanced spiral binding.